A controversial government decision to close shops early has stirred a heated debate over whether it would be efficient to save energy. A hardline Islamist preacher had a totally new perspective. 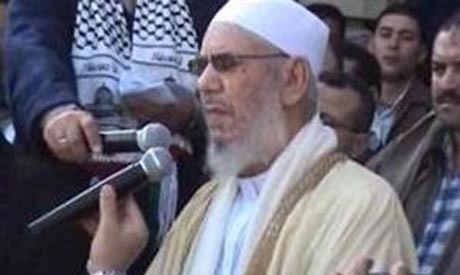 "The decision is correct and coincides with Islamic Sharia law, as it will make people sleep earlier and therefore they will be able to wake up early to pray at dawn," preacher Ahmed El-Mahalawy, who was banned from giving sermons under former Egyptian presidents Anwar El-Sadat and Hosni Mubarak, said in Alexandria. El-Mahalawy was given the weekly Friday sermon in the famous Al-Qaed Ibrahim mosque, which was the hub of the Alexandria protests against Mubarak during last year’s popular 18-day uprising. He was only allowed to resume his preaching activities after Mubarak was driven from office. He is now a staunch supporter of Islamist president Mohamed Morsi, who hails from the Muslim Brotherhood. The decision to close shops by 12 PM and restaurants by 2 AM was heavy criticized by many political figures and activists, who argue that it would affect the income of many people who are reliant on late-hours work. Other also said it would deprive Cairo from one of its most prominent features as a city that never sleeps. El-Mahalawy stopped short of echoing the government’s defence, turning a blind eye towards the rhetoric of saving energy and focusing instead on the spiritual side of the saga. “Those who object to the decision are imbeciles. They are against the implementation of Islamic law that will help build the society in a truly Islamic way,” he added. El-Mahamlawy represents the great leadership to many local Muslims in Alexandria. He spoke against the corrupted past regimes when it was inconvenient , and paid a personal price. It is easy to attack him as anonymous , but difficult to walk in his footsteps. His mosque, in alexandria, was the main hub to start the revolution. Ok. We will sleep early and wake early to pray. And who will work????? All day we will pray. God save Egypt from this "people"! That sounds nice if you're going to pay my bills!! There is something odd with the time format in the article. 12.00am is mid-day, or noon. 02.00am is 02.00 Please verify what's actually suggested?